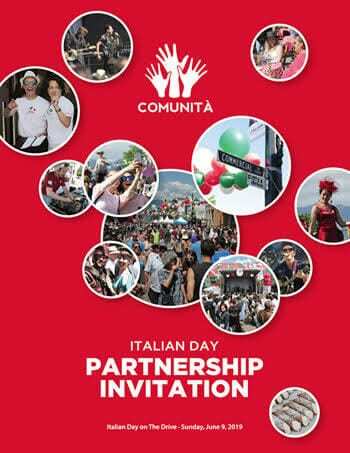 We offer engaging opportunities and benefits to sponsors and invite you to be a partner in Italian Day’s cultural celebration, community embrace and success. If you are interested in becoming a sponsor and would like a digital copy of the full sponsorship package, please contact Brunella Gaudio at brunella@italianday.ca. Sponsorship deadline for the 2019 Italian Day event is February 15, 2019.